With the imminent arrival of the CA for my year 11 I had to think about how I could recap the perfect tense for some, drill the perfect tense for others and for my little SEN gang, I had to pick ten phrases I hope they will be able to retain and get right.so a triple lesson, with me and for me with them, how would I keep the momentum going? A PowerPoint- this was put on a loop with a very high speed phrase in the perfect tense in French whizzing across it, such as je suis allé à la piscine, there were 12 phrases like this and the class had 5 minutes to work them out, then I stopped it and we had a look. This allowed the question, “Madame P, why are some je sues and the other j’ai?” – a collective groan by the rest of the class and one of them explained it correctly, leading to them singing the Rhianna Mrs Vandertramp song on YouTube! Then we did a 10 minute aide mémoire of the passé composé in groups and I told them to have 7 sections. This made them decide on the sections and argue amongst each other. After that we played a game – still learning and practising though. 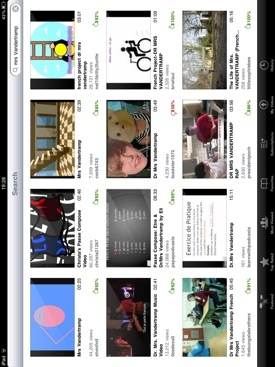 One child wore a blindfold, another the “boss” hat.on ehte screen were a list of 20 infinitives in French. The boss called out the infinitive and the blindfold gave the correct past tense version, for example, aller……. Je sues allé, the rest of the class had to write it down , then the correct newer flashed up on the screen. W did this 4-5 times, then all students did this with a partner or FLA.
After that all students had to correct verb paradigms that I had written out filled with mistakes. I had put them all around the rooms and students had to correct them, at the end of that task, we discussed common errors that I see. I then gave the class 10 past tense phrases and they had to “pimpez mon français”. I explained that they had 10 minutes to use their wow words to make the phrases go from a C to A*- students also had the AQA mark scheme. The students produced some amazing sentences and paragraphs.After the lesson, students left the room thanking me for a great lesson, wow! I then did and evaluation at the end, all of them said they wanted to do it again but with a different topic. I could do with thinking up some new and more exciting ways to do this sort of lessons, tasks which last about ten minutes and are VAK in some way or another and can be done in a noisy classroom. 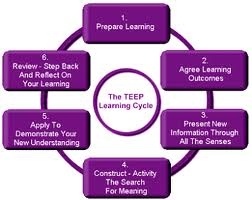 I have now completed level 1 and level 2 Teep training and I have just delivered a whole school introduction to Teep. This was a huge challenge but I enjoyed it. I am rally glad that my career is taking me more towards teacher training than school leadership. I love teaching and hate the bureaucracy. My favourite things about Teep lessons – it’s what I already do, I like the creativity and the wackiness. I can be as wild as I want to be with Teep. I also like the fact that our senses are important in lessons, I always make sure my room smells nice and I am very aware of the sight issues in my lesson as I find bright lights so difficult.